﻿﻿Many of you must have received a Singa figurine in your National Day Parade (NDP) funpack. 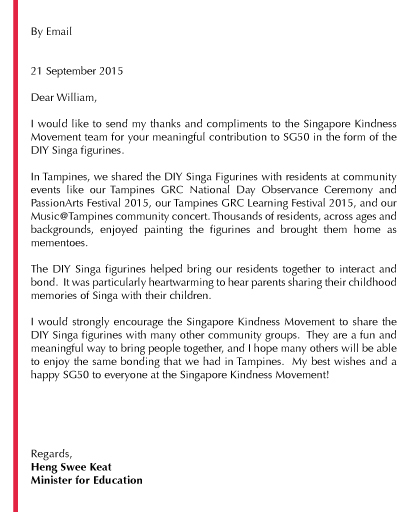 1.6 million from the new series of 15 figurines were distributed nation-wide in celebration of SG50. Soon after National Day (9th, August), 1,000 serially numbered limited edition sets as well as individual figurines of 14 designs were made available to collectors and others. This is the second series of Singa figurines. The first series was created in 2010. 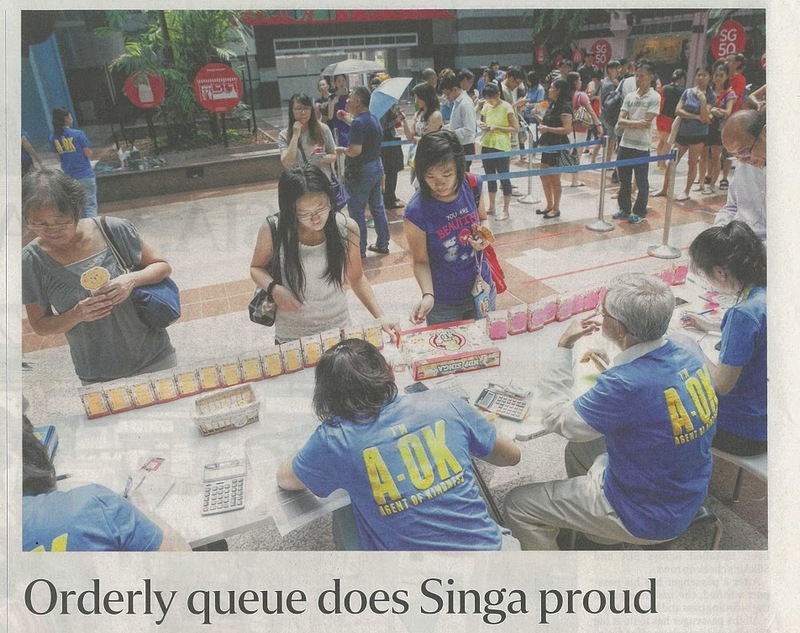 As the Straits Times reported on 12th August 2015 the new series proved to be very popular. ​In his role as mascot, Singa has appeared in numerous publicity materials, souvenirs and events related to the movement. 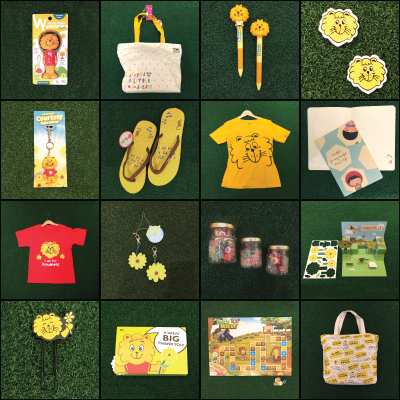 These include badges, stickers, posters and banners, puzzles, plush toys, magnets, erasers, pens and pencils, T-shirts, bags, pamphlets etc. In addition,​ ​Singa was made into a popular board game of the 80’s, ‘Courtesy Snakes And Ladders’.​ ​In the game, courteous behaviour would send a player up a ladder while rude behaviour would send the person down the ranks.​ There was also a series of stamps featuring Singa. We have benches and statuettes of Singa in many public spaces. Recently, at Terminal 3 of our Changi International Airport, a 4m high topiary of Singa stands proudly to welcome visitors. And in Chinatown, Singa lanterns help celebrate the Mid-Autumn Festival. Not surprisingly, Singa became a familiar face with regular appearances in community events and advertisement campaigns.​ ​He is also the most recognizable according to some surveys. On 15 May 2013, Singa resigned from his role as the mascot for kindness because he believed that it was time for Singaporeans to bring out the Singa within them. His resignation was an invitation for all of us to be the change we want to see, and called for Singaporeans to take responsibility for their own actions. News of Singa’s resignation went viral and provoked a wide range of responses from the public. Some people expressed their sadness and said that they would miss Singa. Others felt that the resignation did not make a difference as they believed that mascots such as Singa had become irrelevant in today’s society. The charisma of Singa was such that he generated over 100 articles ​ in various media within a month​. ​In addition to mainstream media such as daily newspapers and online news websites, the public wrote in to the forum sections of the newspapers and posted their thoughts on blogs and social media. The conversation regarding Singa - and more importantly, kindness and graciousness - went through the roof. 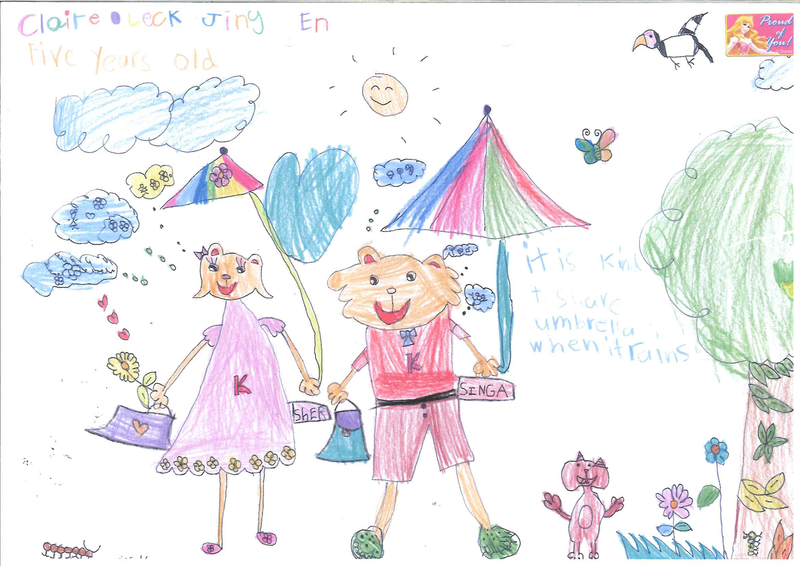 Singa’s appeal cuts across the generations. 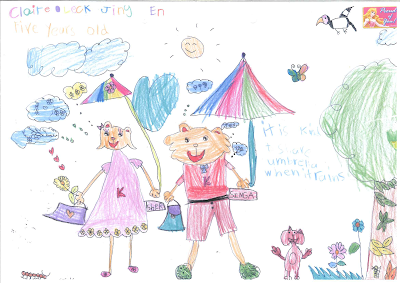 When we created an animated series of Kindsville where a young Singa and his friends live and play, for pre-schoolers and primary school children, it attracted a great deal of interest. For instance, the monthly average viewership from Jan - Aug 2015 per episode is more than 13,000. Its website total pageviews in 2015 to-date is more than 44,000. 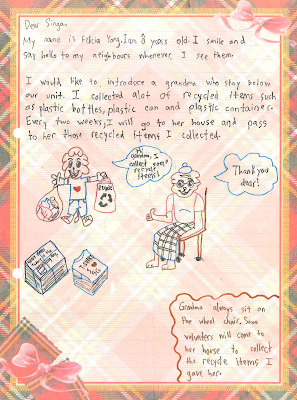 Many children write to Singa. In the first half of 2015, Singa received almost 300 letters. A few days ago, a Friend of 50 years shared with me a story over dinner. 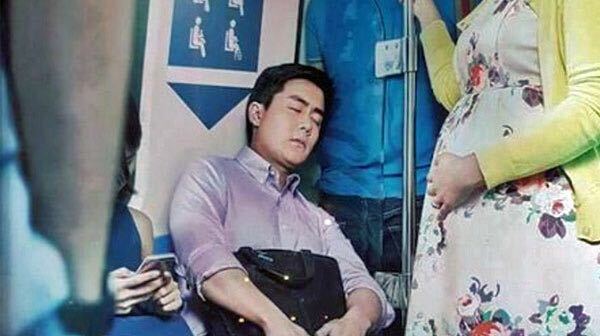 Her lady friend was comfortably seated on an MRT train when a pregnant lady boarded the train. She stood up to give her seat to her but before she could take it, a young man rushed across her and took the seat. The young man settled down and started to wear his earphones and began watching a show on his iPad, completely ignoring the pregnant lady in front of him. It was obvious to him, and everyone else around that just-vacated seat that it was meant for the pregnant lady as the one who gave it up was still on the train, now standing next to the pregnant lady. Last year was especially significant for me. I became a septuagenarian! In my honour, a couple of good friends, Soo Inn and Bernice, reprinted 47 of my published articles in a book aptly titled Born in ’47. The WAN tribe of 10 descended from the USA and Canada to celebrate. 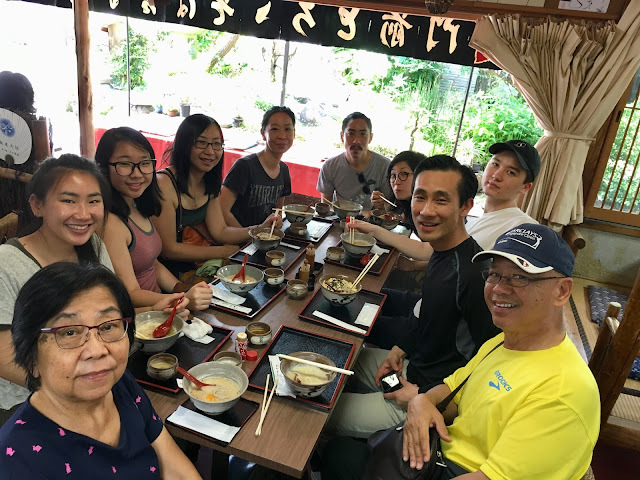 For the first time in years, we had our family vacation in Kyoto. And for the first time in years, Ruth and I took a cruise around the Mediterranean and the Baltic, spent some time in Northern England and Scotland and Spain. Over the years I have been to many of these places because of work, but I have not been good at taking vacations. However, this time around, I felt it was time to vacate my usual work routine and do something different. 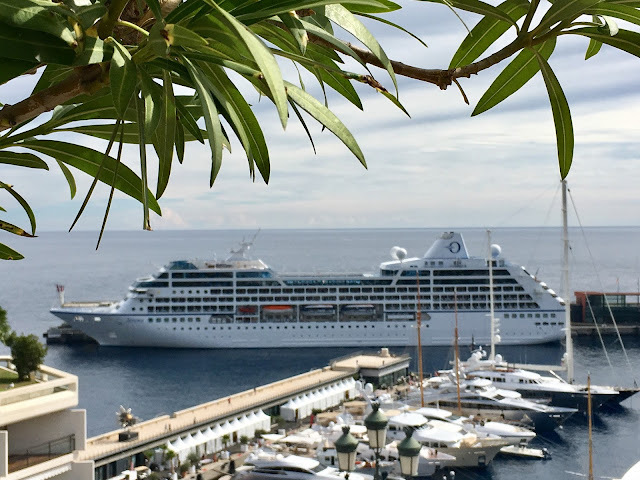 It was a “working vacation” – interviewing folks on the cruise about living well and leaving well – a book project I am working on. I am thankful for the gift of relaxation (vacationing) as we completed our drive through the beautiful Lake District to Edinburgh, cruised the Baltic and now completing the Mediterranean route as I write. I believe in working hard (vocationing) and enjoying the fruits of it, completing 4 books in 12 months and taking SKM through another year. I believe in living well. We all do, though we may define it differently. For me, it is about doing meaningful work, touching lives, inspiring faith, and embracing love. In living well, however you define it, we do need to think about it and prepare for it. Most vacationers on the cruise are retirees who have some means. One couple has cruised a total of more than a thousand days. That's a lot of cruising and you need a lot of disposable income to be able to do that! No doubt many worked hard at making and saving money, and are now enjoying the fruits of their labour. 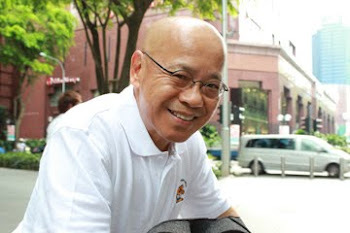 Dr. William Wan is the General Secretary of the Singapore Kindness Movement. He is also a winner of the Active Ager Award (Council of the Third Age) 2011. Prior to taking on this role as General Secretary, he was practising law and managing a psychometric company. He has always been active in community-based work and believes that kindness breeds kindness.